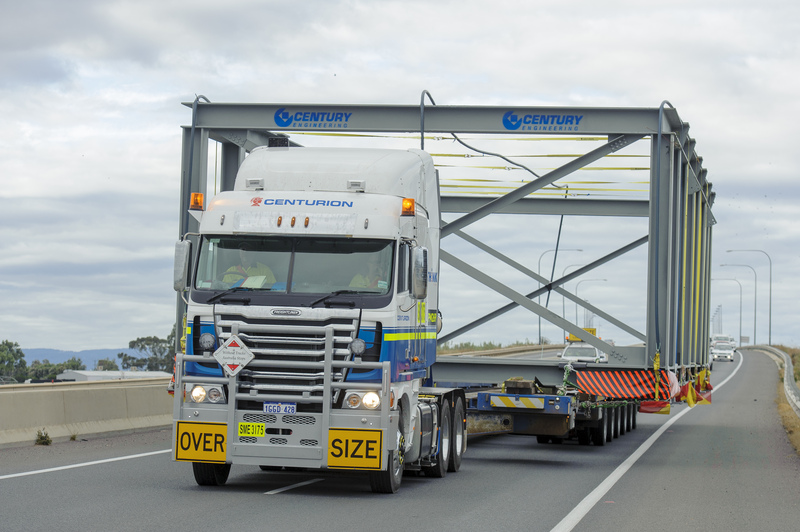 Centurion has continued its diversification into new markets showing their heavy haulage capability in South Australia. Centurion’s Adelaide team was recently involved in a major logistical effort transporting an 8.3 metre wide and 32 metre long ESP support frame from Edinburgh to Olympic Dam. Safety was the number one priority for the heavy haulage logistics effort and so daybreak saw a Toolbox meeting conducted for all people involved including breath testing. The journey on day one involved two police escorts and three pilots for the entire trip. Centurion’s Freight Liner prime mover, six line extendible platform low loader trailer and cargo weighed in at more than 100 tonnes. The initial 11 kilometre movement took three hours as the load negotiated roundabouts while tree trimming and traffic sign removal was required. The team came across another challenge at Rocky River with traffic stopped in both directions in order to get the 8.3 metre wide load across the narrow 8.3 metre wide bridge. 293 kilometres and 11 hours after departure the crew arrived in Port Augusta at sunset. The journey continued the next day with the load departing at sunrise and arriving in Olympic Dam just before 2pm. South Australian police stated that Centurion’s logistics effort was one of best moves they had been involved with and the professionalism of all parties resulted in a totally smooth operation. 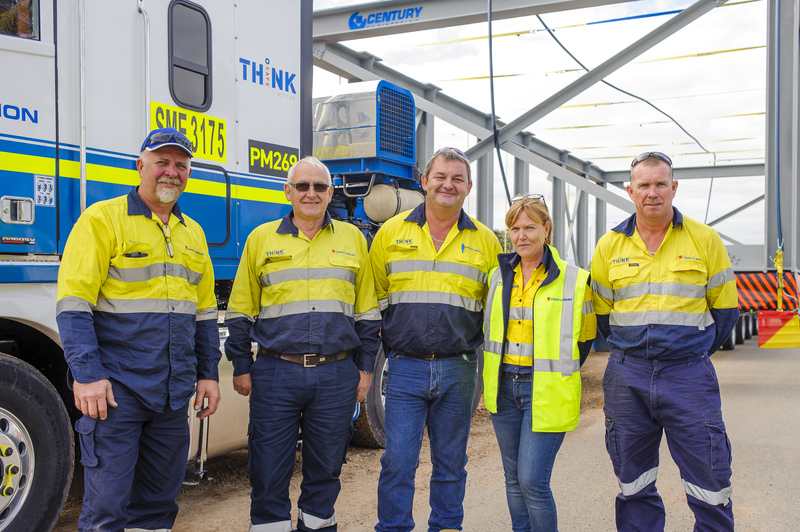 Centurion South Australia State Manager Brad Busch said he was impressed with how the operation unfolded and the commitment and focus shown by everyone involved. “This was an exciting and challenging exercise. The great result shows Centurion’s capacity to take on further specialised transport work and our commitment to finding a flexible solution for our customers,” he said. Centurion has extensive experience in transport and logistics, in particular heavy haulage. Following the recent expansion into the Queensland and South Australian markets, this successful operation demonstrates Centurion’s ability to perform not only in Western Australia but nationwide. Centurion now has distribution centres in Adelaide, Mackay, Emerald and Brisbane as well as 10 branches throughout Western Australia and the Northern Territory. For more information about Centurion’s heavy haulage and general transport capabilities, or to find a branch near you, head to the contact page.